Use in tank mix for better and longer contact with leaf surface when spraying fertility and pest control products. Especially important when there is a chance of light rain or heavy dew soon after foliar spraying. 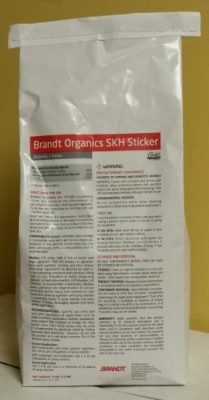 Mineral based sticker, will help foliar applications stay on the leaf longer in high moisture conditions. Often used with spreader or wetting agent.